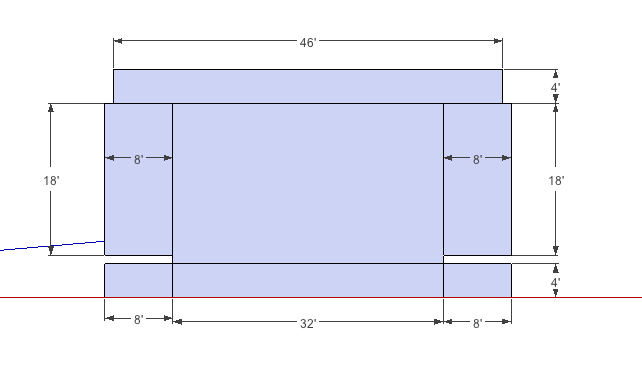 32 x 24 deck size in the standard configuration with (2) 8x8 sound wings. We also have additional decking to build the performance area to 32 x 32 covered. This photo shows the optional front BATWING which extends the canopy to 32 feet. We then have enough decks to build the stage out to 32 wide by 32 deep fully covered. 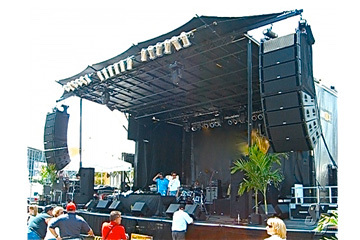 We also can provide sound wings and a covered monitor mix. You should place grommets about every 2 feet along all edges of the backdrop. If you plan on using our existing solid backdrop in combination with your backdrop then you can print your backdrop on solid vinyl. 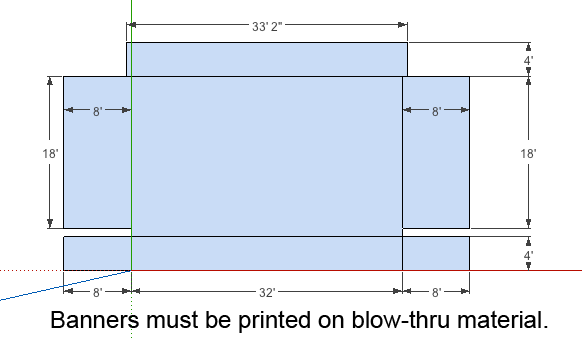 If you plan on using your backdrop only then you need to print it on blow-thru material. 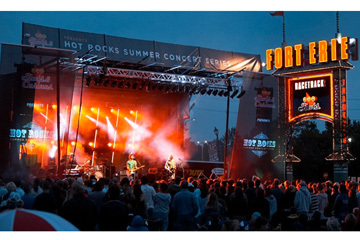 It is suggested that you don't have any text or graphic at the top 2 feet of the banner as this area might have lighting hanging down in front of the banner. These areas must be printed on Blow-thru material. Grommet should be placed every 1 ft on all edges.